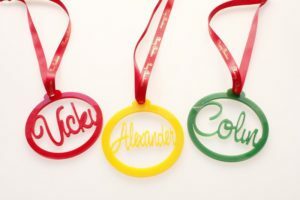 Decorate your Christmas tree this Christmas with these personalised Christmas Decorations. Any name can be placed with in this Christmas bauble. They are available in red, yellow or green and are 8cm in diameter.